ATLANTA – Inductees into the Indoor Air Quality Association’s Hall of Fame were recognized at the organization’s recent 21st Annual Meeting held in Chicago, IL. The Hall of Fame recognizes individuals who have contributed to the advancement of the science and public recognition of the subject of indoor air quality. 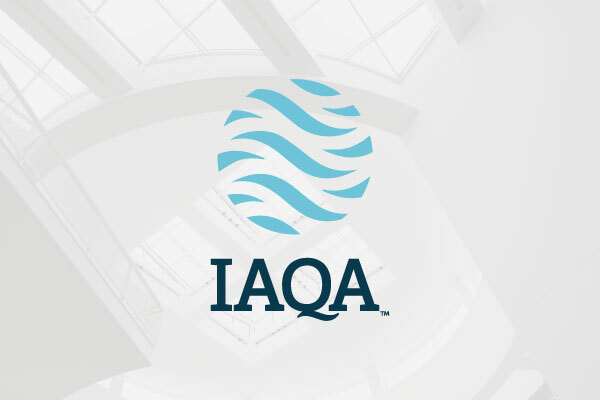 IAQA inducted Andrew Ask, Lewis Harriman, Joseph Lstiburek, Ph.D. and Jeff May, into the Hall of Fame. Andrew Ask, B.S. (English). J.D., P.E. is a mechanical consulting engineer who specializes in the retrofit and remediation of HVAC systems in buildings. Early in his career he worked in the Great Lakes region and spent time in construction and installing air conditioning in many types of buildings. He has devoted the past 20 years to solving humidity problems and replacing HVAC components in Southwest Florida buildings. Ask has five decades of experience solving building science problems and helping people live in healthier environments. Lew Harriman is Director of Research at Mason-Grant Consulting in Portsmouth, NH. 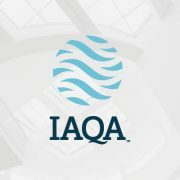 He is a 16-year member of IAQA, and has spent 40 years researching and solving complex indoor air quality problems related to humidity and moisture in buildings. Among his recent accomplishments is the national policy document titled “Guidance for Fungus Avoidance in Healthcare Facilities”, developed for and published by the Malaysian Ministry of Health in 2017. Harriman currently serves as the committee chair and lead author for ASHRAE Society Position Document entitled: Limiting Indoor Mold and Dampness in Buildings. Earlier, Harriman was the lead author and project manager for the 500-page ASHRAE Humidity Control Design Guide, which for 20 years has helped professionals and building owners avoid the excessive microbial growth in building and HVAC systems that lead to compromised indoor air quality. Joseph Lstiburek, Ph.D., P.Eng., set the first ventilation rates for energy efficient houses when he developed the performance specifications for Canada’s R-2000 program in 1982. That same year he developed the first spillage and backdraft tests as a result of carbon monoxide poisoning issues arising out of misguided energy conservation measures. They formed the basis for today’s ASTM and RESNET protocols. He pioneered the first widespread adoption of controlled ventilation systems by production home builders in the US in the mid 1990’s and coupled them with airtightness targets which then became the Energy Efficient Building Association (EEBA) performance guidelines. The airtightness methods he developed became the EPA’s “Thermal Bypass Checklist” that was ultimately adopted by the International Energy Conservation Code (IECC). Jeff May is Principal Scientist of May Indoor Air Investigations in Tyngsborough, MA and has been investigating IAQ problems in homes, schools and office spaces for about 25 years. In that time, he has collected and analyzed through microscopy over 35,000 air and dust samples. May was an Adjunct Professor in the Department of Work Environment at University Massachusetts, Lowell, and is the author of four books on IAQ published by The Johns Hopkins University Press, including My House is Killing Me. He is a Certified Microbial Consultant (ACAC), a Certified Indoor Air Quality Professional (AEE), and is licensed as a mold inspector in NH and in FL. He holds an M.A. in organic chemistry from Harvard University.